The William H. Timbers '37 Lecture. Lee Epstein, Ethan A.H. Shepley Distinguished University Professor, Washington University in St. Louis. With President Trump’s appointment of two justices, the Supreme Court is likely to move well to the right. The lecture will consider how the Court’s new (conservative) center of gravity will affect several highly salient areas of the law, including abortion, guns, and affirmative action. Lee Epstein is the Ethan A.H. Shepley Distinguished University Professor at Washington University in St. Louis. Her research and teaching interests center on law and legal institutions, especially the behavior of judges. Professor Epstein is a Fellow of the American Academy of Arts and Sciences and the American Academy of Political and Social Science. She also serves as Co-Director of the Center for Empirical Research in the Law, Lecturer in Law at the University of Chicago, and a Principal Investigator of the U.S. Supreme Court Database project. In 2019 she will be a visiting scholar at Hebrew University in Jerusalem, National Taiwan University, and the University of Bergen in Norway. 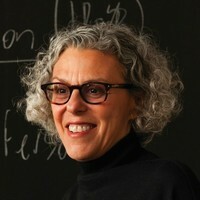 A recipient of 12 grants from the National Science Foundation, Lee Epstein has authored or co-authored more than 100 articles and essays and 18 books, including The Behavior of Federal Judges, with William M. Landes and Richard A. Posner (Harvard University Press) and An Introduction to Empirical Legal Research (with Andrew D. Martin) (Oxford University Press). Her empirical research is frequently cited in the New York Times, among other news media.